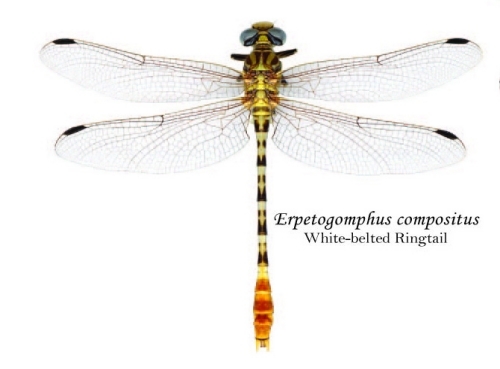 This is the white-belted ringtail dragonfly from the Bohart Museum of Entomology poster. 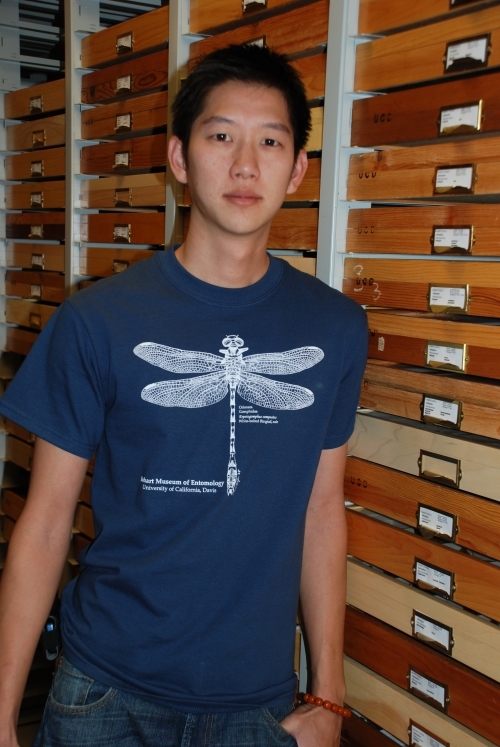 The poster and dragonfly t-shirts are available at the Bohart Museum, 1124 Academic Surge, UC Davis, or at http://bohart.ucdavis.edu. 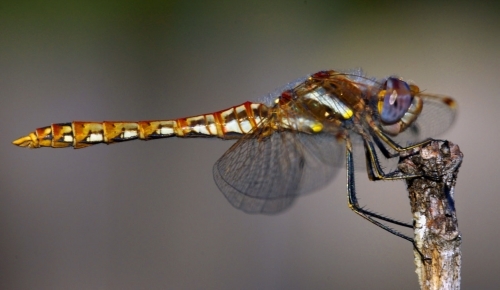 This spectacular dragonfly photo, taken by UC Davis entomology doctoral candidate Fran Keller, is a Sympetrum sp. that she took in her back yard on July 28, 2007, in North Davis. This is one of her favorite photos. 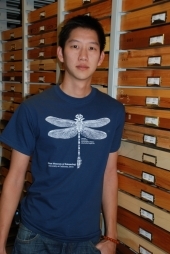 "This picture," she says, "shows how incredibly delicate they are and their legs so slim and yet grasping on the edge of this twig they maintain balance. The eye color reminds me of a watercolor painting and the red on the abdomen is such a contrast to the yellow spots on the thorax."